(a) Install 8 new No. 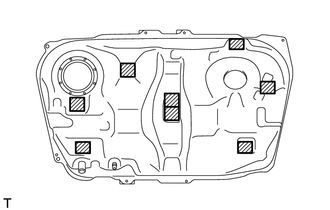 1 fuel tank cushions to the fuel tank. 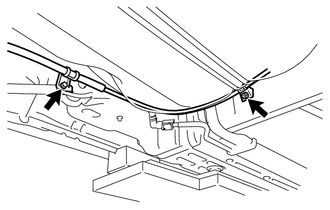 (a) Install the fuel main tube support with the bolt. (a) Install the fuel tank main tube to the fuel main tube support. 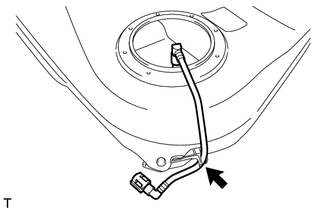 (a) Install the fuel tank to filler pipe hose to the fuel tank assembly with the clamp. 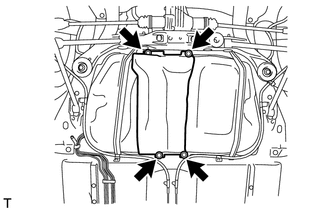 (a) Install the fuel tank vent hose sub-assembly. 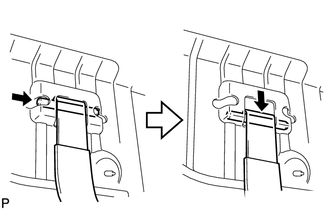 (a) Install the 4 clip nuts. 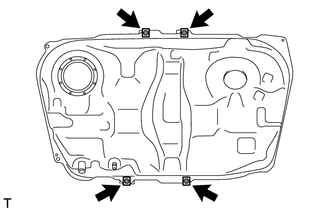 (b) Install the 2 fuel tank bands with the 2 pins. (c) Set the fuel tank assembly onto the engine lifter. (d) Lift up the engine lifter. Slowly raise the lifter so as to not drop the fuel tank assembly. 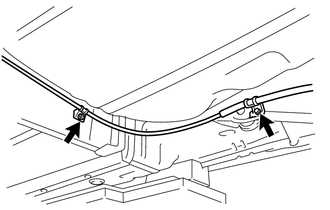 (e) Install the fuel tank assembly with the fuel tank bands and 2 bolts. (f) Connect the fuel tank to filler pipe hose with the clamp. (g) Connect the 2 clamps and install the fuel tank vent hose sub-assembly. (h) Push in the tube connector to the pipe and push up the retainer to connect the fuel tank vent hose sub-assembly. Check that there are no scratches or foreign matter around the connected part of the tube connector and pipe before performing this work. 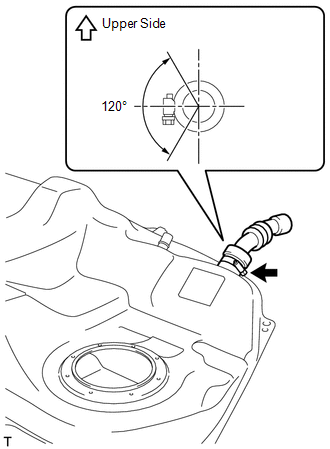 After connecting the vent line tube, check that the fuel tank vent hose sub-assembly is securely connected by pulling on the tube connector and the charcoal canister. (i) Connect the fuel tank main tube sub-assembly. 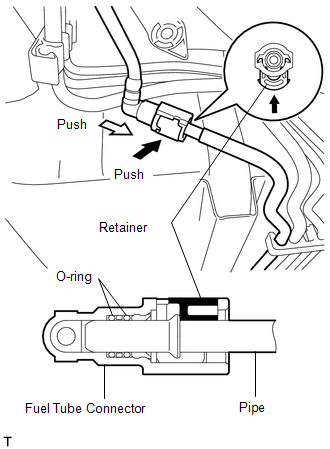 (1) Push in the fuel pump tube connector to the pipe and push up the retainer so that the claws engage. Check that there is no damage or foreign objects on the connected part. 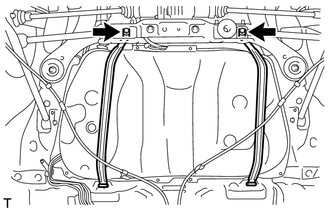 After connecting, check if the fuel tube connector and the pipe are securely connected by trying to pull them apart. (a) Install the No. 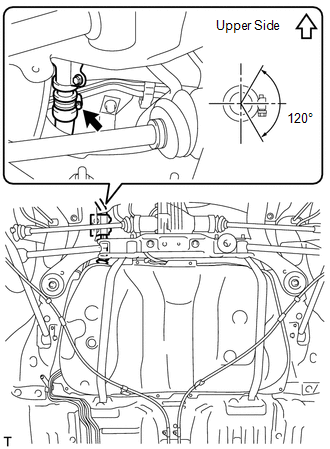 3 parking brake cable assembly with the bolt and nut. (a) Install the No. 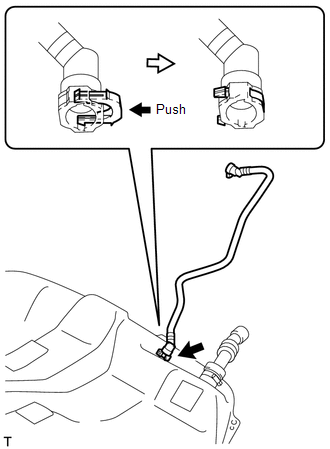 2 parking brake cable assembly with the bolt and nut. (a) Install the No. 1 fuel tank protector sub-assembly with the 4 bolts. 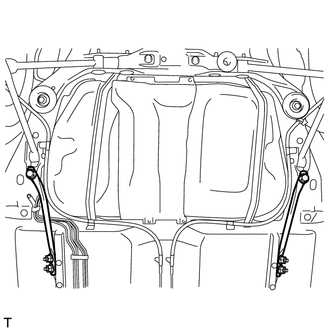 (a) Install the bolt, 2 nuts and front floor brace LH. 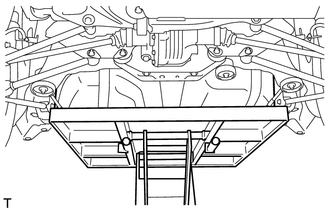 (a) Install the bolt, 2 nuts and front floor brace RH. 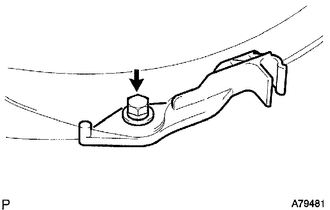 (a) Install the propeller with center bearing shaft assembly (See page ). 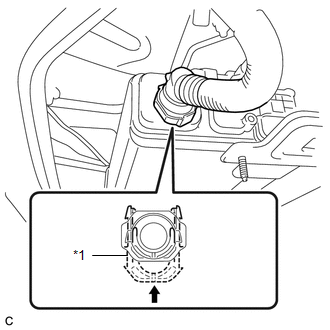 (a) Install the fuel suction tube assembly with pump and gauge (See page ).